Staging a home for sale is like producing a play: tons of smart psychology, attention to detail and hard work. 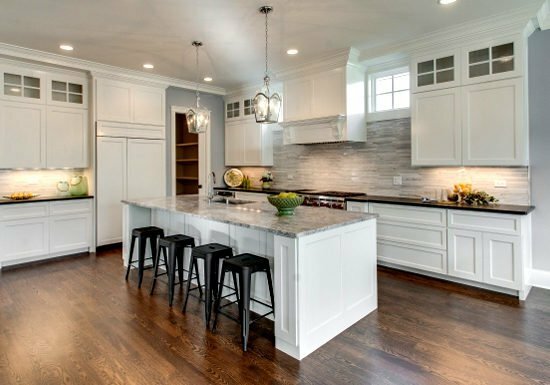 The kitchen, naturally, is a critical focus point for staging as everybody really wants a cool, life-enhancing cooking and gathering area. Put everything away so the counters are clear, clear, clear. Including all the little appliances and knife blocks and convenience knick knacks. And, of course, clear the top of the fridge. Everybody looks there. Clear off all the little paper stuff and magnets. Add in a bowl with color pops, like green apples or lemons. Every surface is cleaned and scrubbed to pristine condition. Includes grout, faucets, drain, cabinet fronts, stovetops. Light it up with bountiful natural lighting (as much as is available). Install under-cabinet lights by purchasing battery powered lights cheaply and sticking them under the cabinets. Make window treatments minimal for more natural light which makes the kitchen seem bigger. Organize the pantry and fridge so they look beautifully inviting, appropriately homey. People looking will imagine their stuff in those spaces. Maybe add in some cookbooks and clear glass storage containers with grain or spice goods in them. Setting the scene: many experts advise presenting a scene of daily life with a table setting of colorful plates and napkins. One stager suggests a countertop planter with blooming flowers alongside a pitcher of orange juice and rolled up newspaper to give that nice daily used feel. 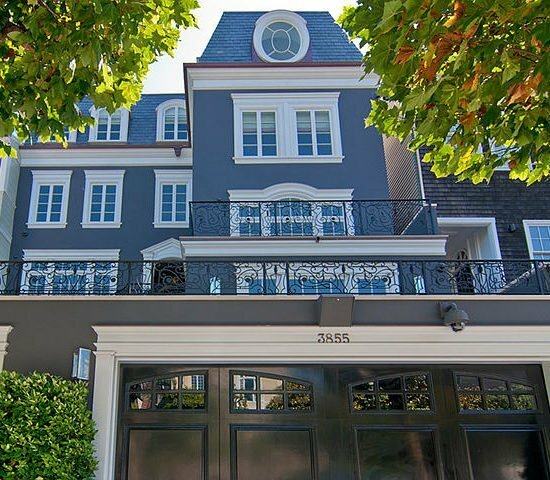 The July 2016 monthly report from The Mark Company (recognized authority on urban residential real estate sales and marketing, including in San Francisco) just came out. It’s interesting reading in that just as has been noted during this month’s round of blogs condo inventories are high, sales are slower (with some district exceptions) and there was no new construction affecting residential real estate in July. 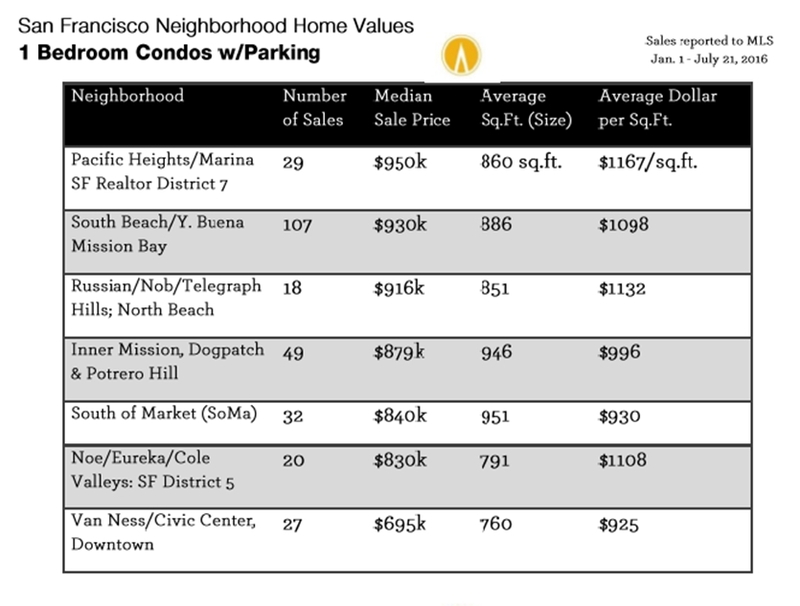 All this, according to expert SF real estate watchers, is an expected normalizing of the market. The report starts off with this positive observation: No new construction inventory entered the market during July as we continue to see some signs of market normalization. Watch for competition to heat up as we approach the traditionally strong fall months and new product hits the market. 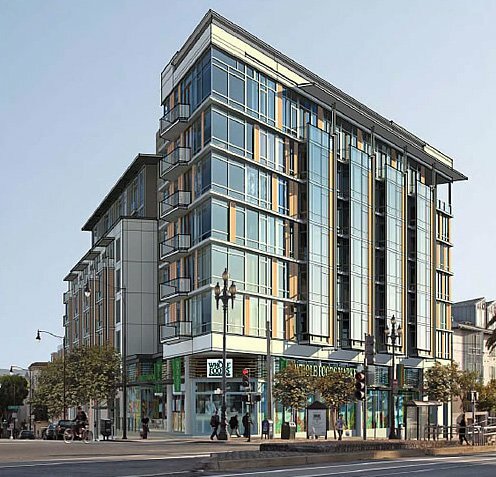 San Francisco expects to add approximately 300 units by year-end. Click here to view the complete San Francisco report as an online PDF. 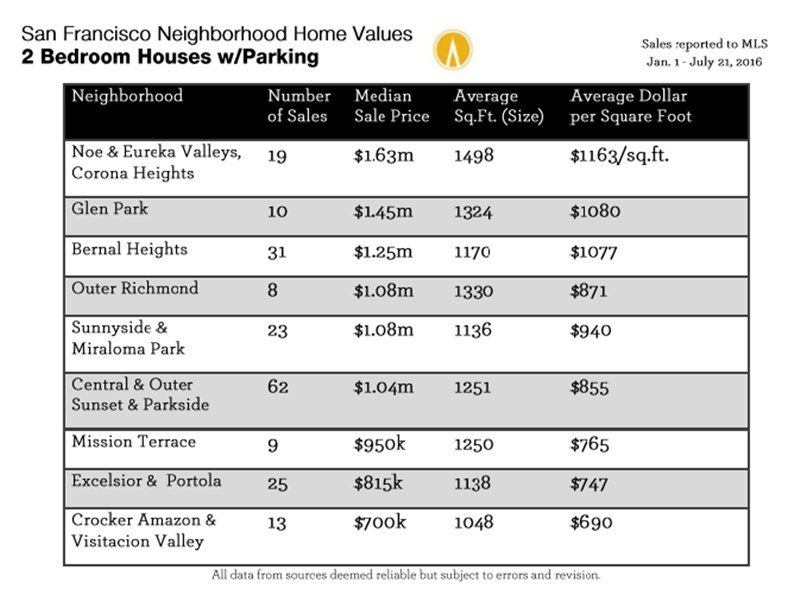 In the housing market across the US the five cities identified in the 2016 Forbes valuation report as being overvalued—no surprise—includes San Francisco. However, SF is last of the five which (in order) are: Austin, San Antonio, Phoenix, Las Vegas and San Francisco. The five most undervalued markets are: New Haven, Detroit, Hartford, Providence, RI, and Cleveland, OH. 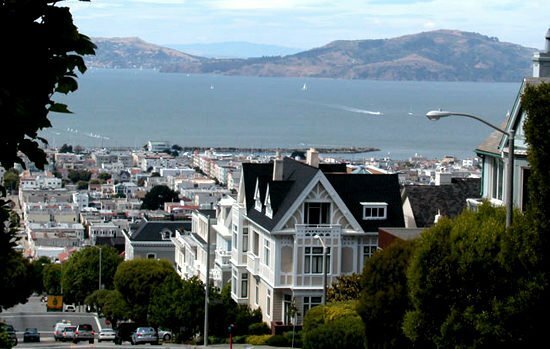 Analysts at Fitch Ratings U.S. RMBS group (which produced the report) said that inventory is the major factor for the overvaluation in San Francisco, but that as well (for SF and the other four cities) increased income is stimulating price increases. The criteria Fitch followed for determining overvaluation and undervaluation is: overvalued when home prices outpace the local economy; undervalued when home prices are below what the local economy can sustain. Going out for breakfast on a weekend morning is a joy next to…well nothing. It’s a unique joy. Perhaps it’s a place you favor and return to time after time and they know your name, or you’re exploring a different breakfast watering hole. Deep or light conversation, studying the menu and reading the morning paper, watching the people and dogs and the always interesting SF cityscape if you’re near a window. What could be better? Here’s a helpful list of the most breakfasty and entertaining breakfast spots in the city, as put together by food and culture writer Tom Molanphy. See link below to his full list of hot breakfast spots. Dottie’s True Blue Café: Great breakfast plates with authentic home style cooking. Toast: Tasty scramblers and omelets and fine, fine pancakes, waffles etc. 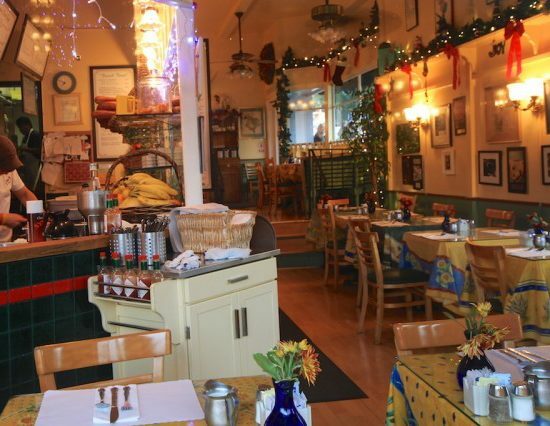 Town’s End Restaurant and Bakery: Great Bay views while munching on beautiful brunch feasts and superb Bolivian coffee. Brenda’s French Soul Food: Tuck into Southern style, Creole inspired breakfast here, including fabulous grits and beignets. Mama’s on Washington Square: Generous portions of a truly treat-worthy breakfast, including a fabulous French toast. The brunch is also popular. 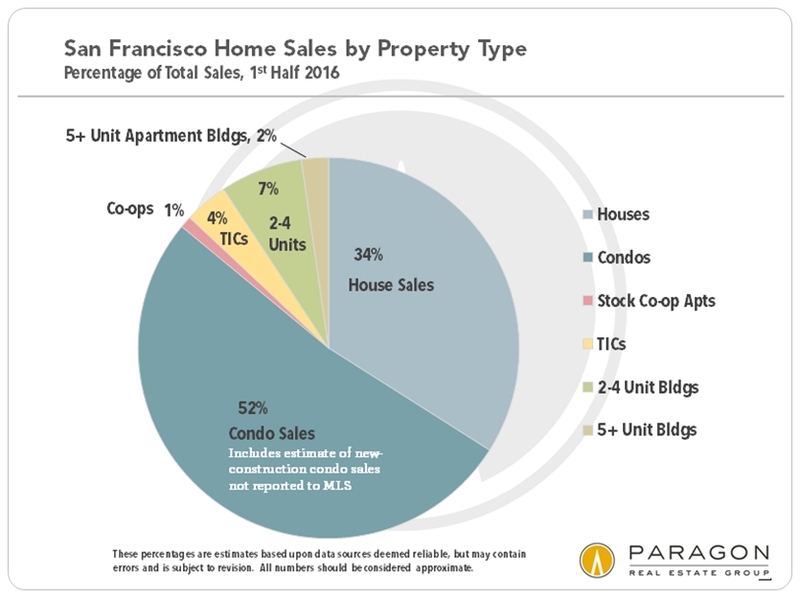 Despite the fact that SF house and condo sales are slow this summer (with condo inventory very high and condo sales really down), there are areas catching fire in new sales. 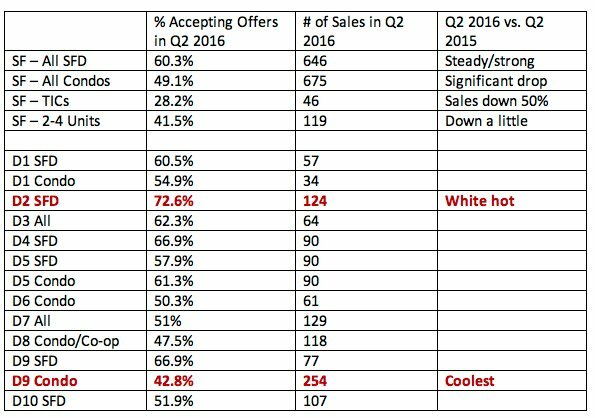 Check out the chart below which depicts each SF district by percentage of MLS listing going into contract in the second quarter of 2016. 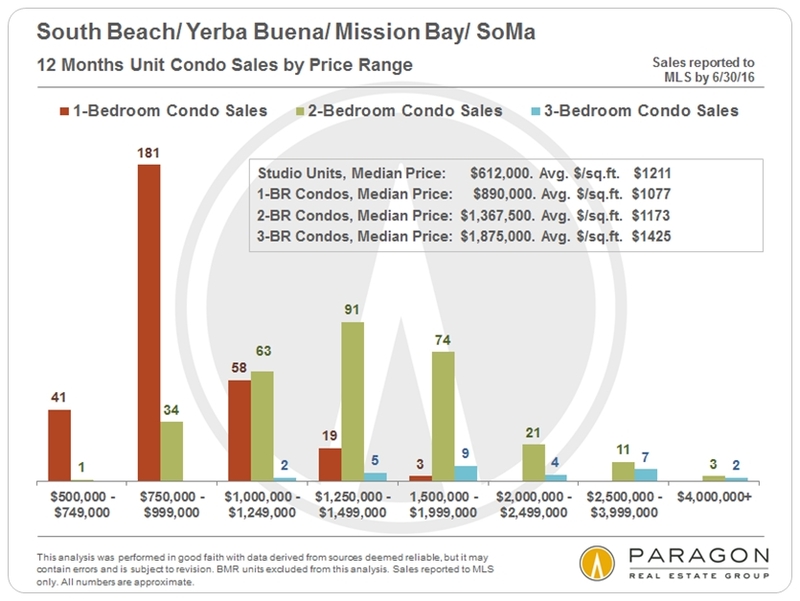 Looks like the Sunset district (D2 on the chart) is really burning up the sales now with 124 houses sold. 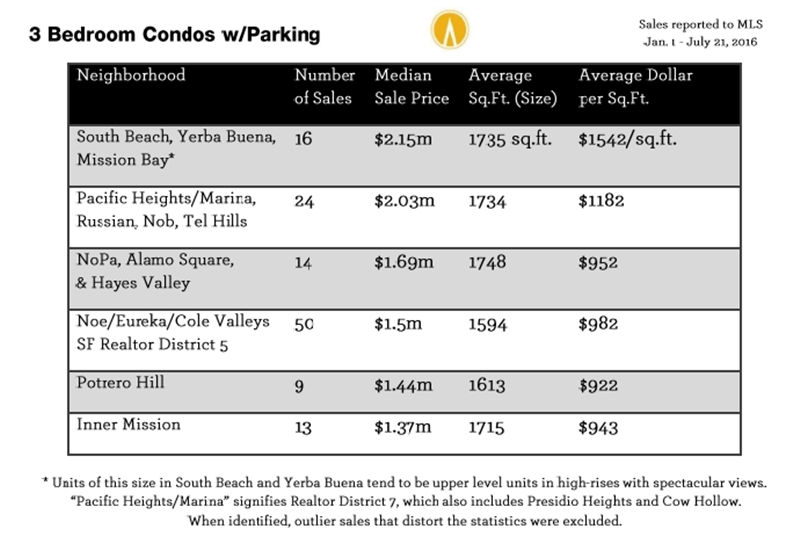 The frostiest area is the city’s largest condo market by sales: District 9 (includes Bernal Heights, the Central Waterfront / Dogpatch, Inner Mission, Mission Bay, Potrero Hill, South Beach, and South of Market (SoMa)). 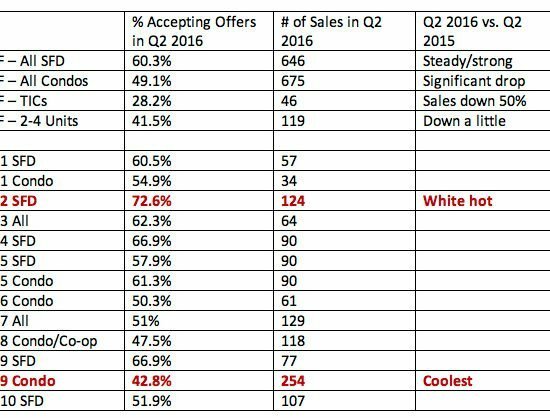 Yet despite having the most condo sales the district overall is the coolest by % of listing accepting offers. And new condo projects are being built up there. 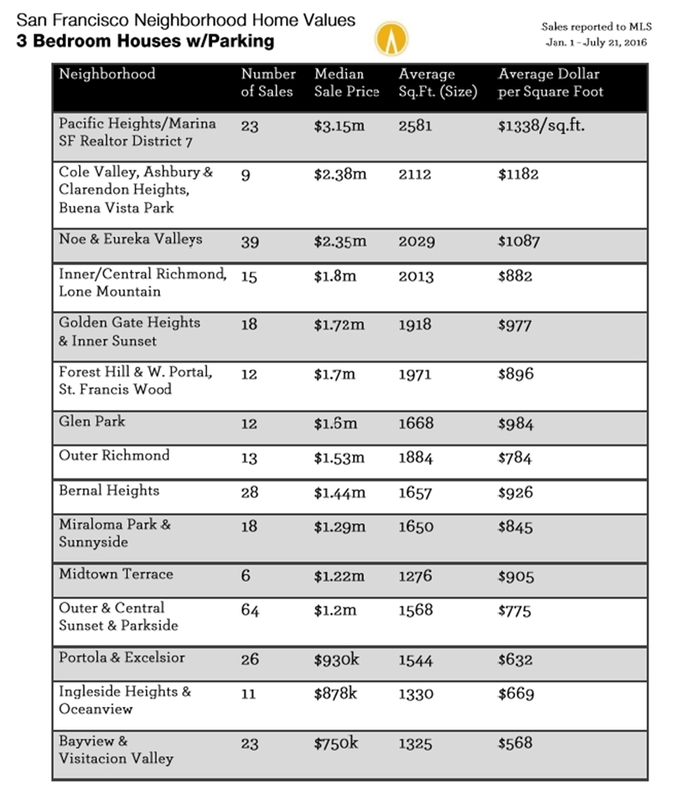 On the hotter side for D9, the house sales there were the second highest in the city. 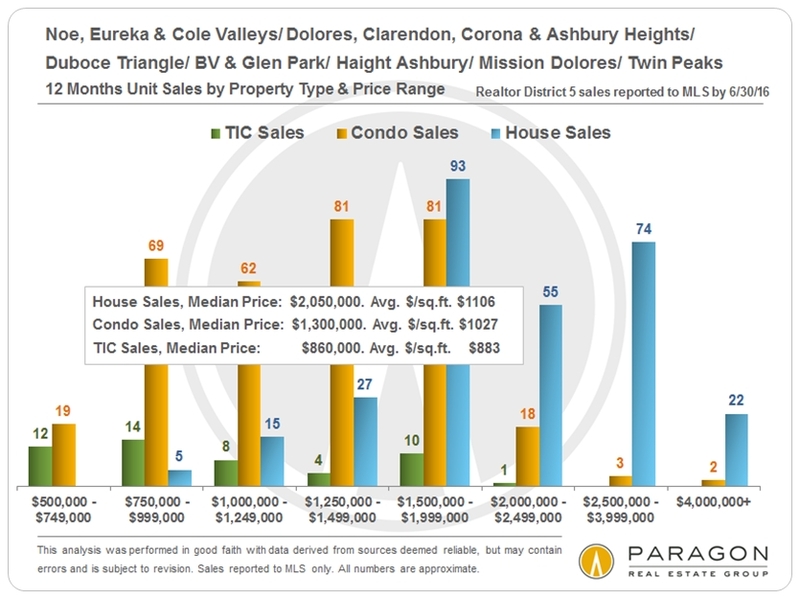 Sales of TIC units have dropped 50% year over year and they are the weakest property segment in this chart. Watching those lanky construction cranes is not a pastime practiced by many in the city (as opposed to bird watching for instance). But for real estate observers crane watching can be an informative barometer on the current state of new construction. 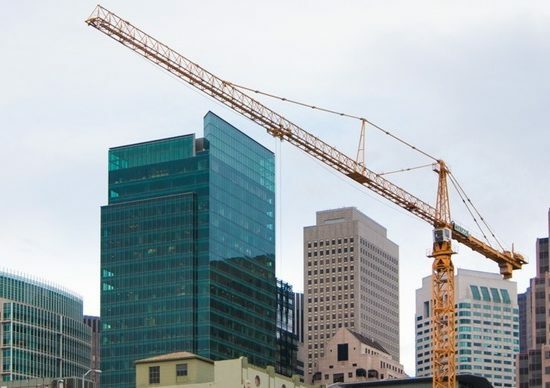 And rather than drive around looking for cranes in the skyline, there’s now an interactive map—called Crane Watch—you can use, courtesy of the San Francisco Business Times. 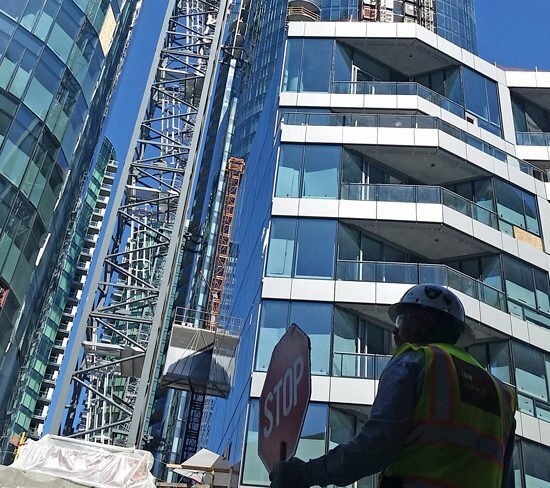 There are now (as of July 21, 2016) over $50 billion worth of new building projects in the city—including residential units, office space, hotel rooms and retail space. The information on the map (clickable popups) includes the project name, address, description, developer, contractor, architect, and if available the construction cost. Crane Watch will be updated every 3 months with new projects added and finished projects removed. 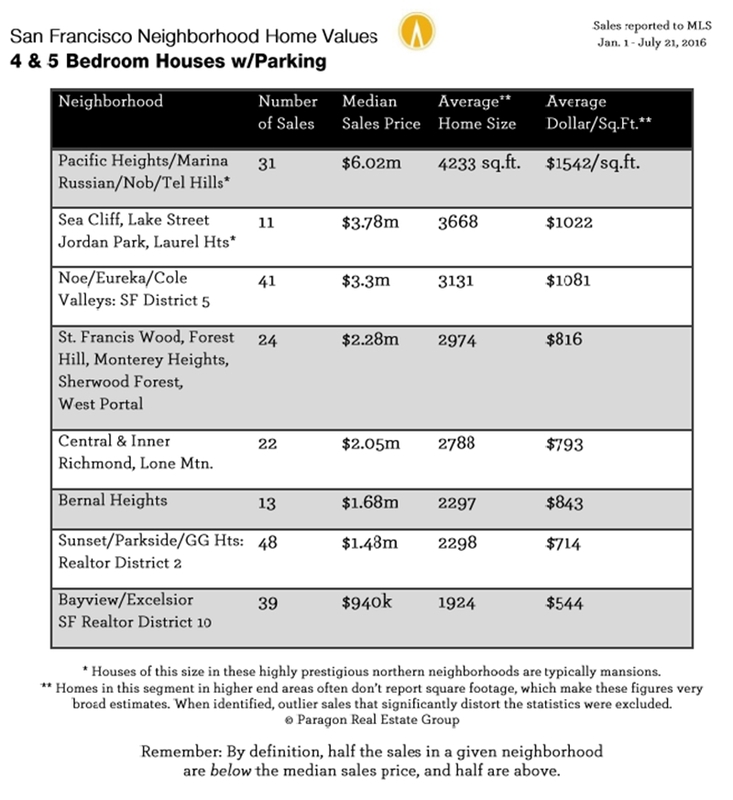 Living and buying or renting in SF can be expensive (though our purchasing power per dollar is pretty good: see the July 14th blog) or it can be very very expensive as in how much does it cost to buy a house in one of the city’s princely neighborhoods? 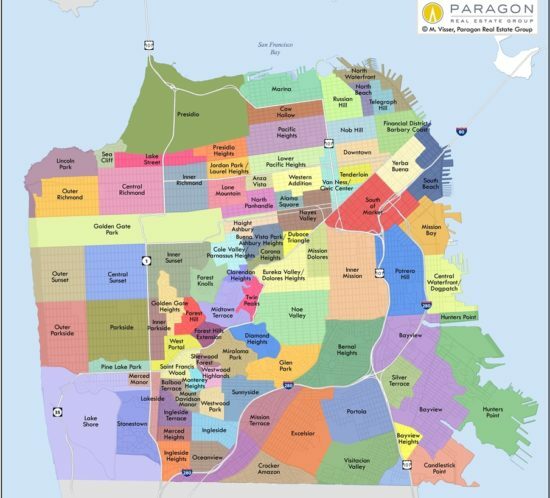 A new interactive map from the people at Paragon Real Estate Group graphically shows all the city’s neighborhoods with mouse over pop ups providing median house/condo buying prices and how many sold from October 2015 to May 2016. 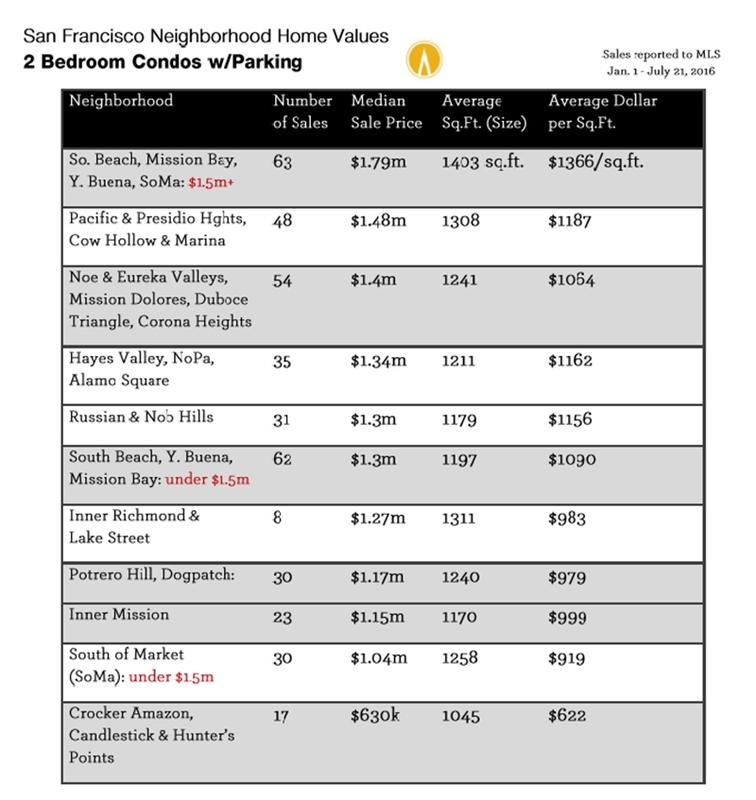 Note that the five most expensive neighborhoods are in the north area of the city—with their desirable views of the bay. Prices are often driven up by bidding wars. 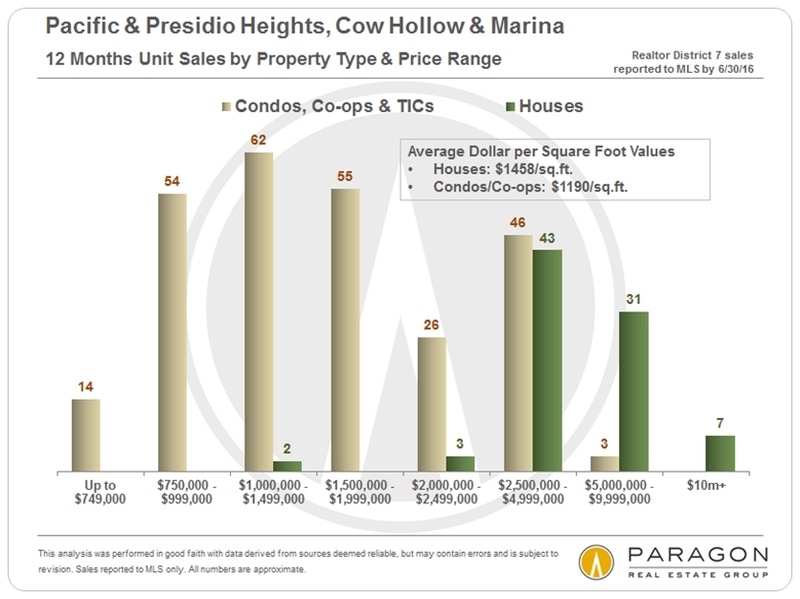 The Marina Times just put out an article depicting the gradual chilling of economic activity for the city and its impact on the SF real estate market. This cooling period has been predicted by a few observers for some time, and now the signs are in that a slow down is upon us. Condos are lingering on the sales market for longer periods of time, and condo rentals are seeing knockdowns in prices so they can be moved. One indicator that’s demonstrates this current slowing is the combined house-condo median sale figures. The spring 2016 median was $1.28 million, 5% better than from spring 2015. But the spring 2014 median was 23% greater than the previous year. The MT article attributed some of the slowdown to the tech industry’s cutting back on its spending activities over the past year. 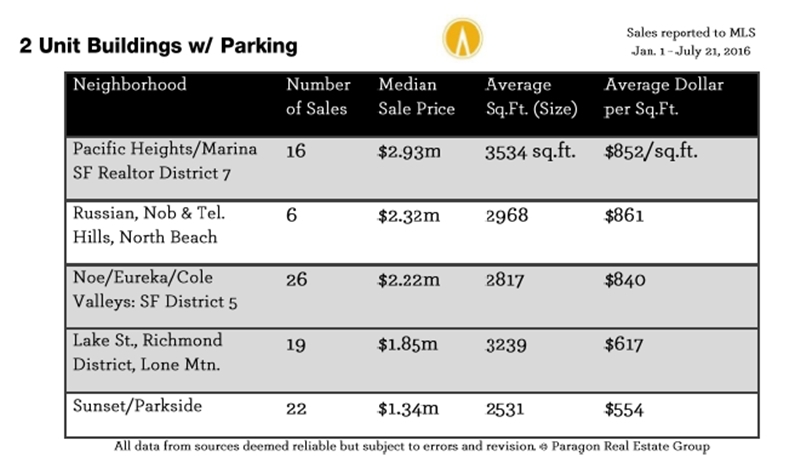 And there are plenty of city blocks (including Market near Castro where they are building angled wedges on corners) sporting new condos that are ballooning up the inventory. Living in SF means living in the land of amusing, quirky, and just plain odd street names. Take Fella Place. Could be straight out of the movie “Goodfellas,” but it isn’t. Bemusing and amusing, that one. Or Christmas Tree Point Road. 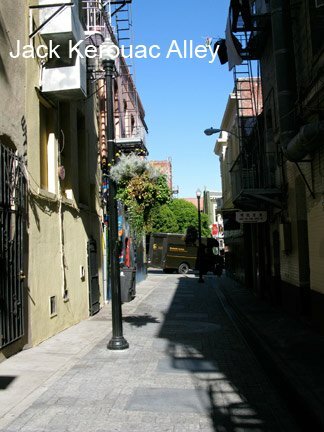 Or Waldo Alley (looking for Waldo?). There are, of course, a few dozen history books encapsulated in SF street names. One of the heartbeat streets of SF, Van Ness Avenue, was named after the colorful Gold Rush times Mayor John Van Ness. Or Mt. Davidson (not a street, but a park) which is the highest natural point in the city—which was named in honor of George Davidson, ex-president of the California Academy of Sciences. Our street names include explorers, Spanish missionaries, Gold Rush entrepreneurs and politicians, railroad tycoons, Civil War heroes and 20th century activists. Some trivia facts: Green Street is named after a noteworthy businessman who was a total fraud, and wasn’t named Green; Broderick Street is named after a political boss type who was killed in a pistol duel against the California State Supreme Court’s chief justice; Woodward Street named after the developer/owner of a now-forgotten amusement park that used to be set up in the Mission. 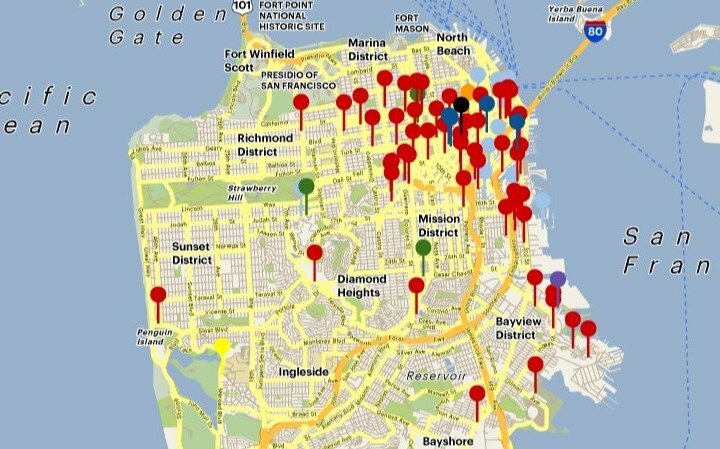 Check out Noah Veltman’s interactive map on the history of street names and landmark names in the city by clicking here.